AM. 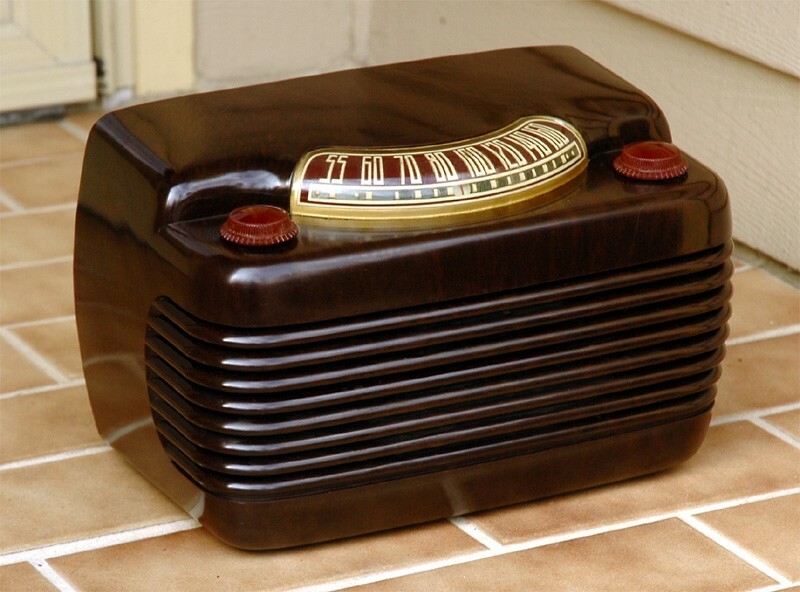 Affectionately called the "hippo" by radio collectors, this post war radio has unique styling with the knobs on top and a curved dial. The outer Bakelite case is clean and shiny and in near mint condition with barely a mark. Full sticker on the bottom and full back near perfect. Six tube premium chassis has been serviced (see below) and radio plays well with very good sensitivity and nice tone through a larger 4"x6" speaker. A differently styled radio for your collection. 12"W x 7-1/2"H x 6-3/4"D.
You are visitor number 2,574 to this page.